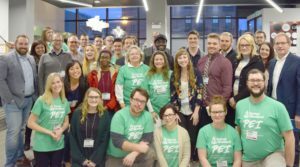 The Startup Zone is hosting TechStars Startup Weekend PEI 2018 event on November 2-4, 2018. This global event powered by Google is a weekend-long event designed to provide experiential learning opportunities for entrepreneurs and those interested in business alike. It all starts on Friday evening with some participants making one-minute pitches, teams are then formed and the weekend continues with brainstorming, business plan development, and basic business creation. The event wraps up on Sunday night with final presentations. Participants collaborate with like-minded individuals outside of their daily networks and receive valuable mentorship from industry leaders in P.E.I.’s business community.